KIBUNGAN, Benguet – Concerned indigenous peoples (IP) leaders and responsible barangay officials of the remote village of Badeo revealed that personnel of the controversial Coheco Badeo Corporation (CBC) admitted to them that the company is now aggressively looking for potential investors who will allegedly takeover the implementation of its proposed 500-megawatt pump storage hydro project because its present finances is not enough to bankroll the P35 billion power plant. 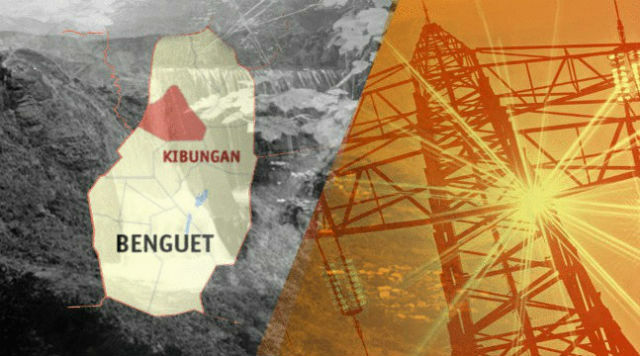 Sources, who requested anonymity for fear of reprisal from the company, disclosed that CBC officials made the revelation during their meeting with barangay officials on the status of the project’s implementation considering the need for the company to do drilling operations that will allow them to get the needed data to support the company’s marketing strategy that will attract investors to infuse the needed capital for the project. “We were able to cull out the information from the horse’s mouth that the company will eventually be sold to interested investors which means that they are obviously interested in only securing our consent for them to be able to enrich themselves at the expense of our domain which we have protected for decades,” the source stressed. The alarmed IP leaders claimed that CBC will obviously follow what had happened to the proposed 60-megawatt run-of-river hydro project in nearby Kapangan town which was previously owned by CBC chairman and Korean broker Larry Howon Kim who in turn allegedly diluted his shares from the Cordillera Hydroelectric Power Corporation (COHECO) to justify the entry of Filipino investors to become the majority shareholders and rendered him the minority shareholder. According to the sources, the revelation of the CBC technical personnel on the prevailing circumstances only shows that their contention from the beginning of the project that the company will be sold to interested investors once the IPs will issue their consent is true because of the bad experience that the IPs suffered in the case of the Kapangan project. The sources argued that once the present composition of the company’s board will be side lined because of their shares purchased by interested investors, their commitments to the IPs will unlikely be fulfilled considering the impending change in company leadership. The IP leaders called on residents in the village to be vigilant on the alleged illegal drilling operations to be conducted by the company as evidenced by their previous attempts to do so but it was eventually stopped by the concerned government agencies because of their failure to submit to the Cordillera office of the National Commission on Indigenous Peoples (NCIP) pertinent documents relative to the planned ambitious hydro power plant project. The sources also questioned the reported geo-tagging to be conducted by the company in coordination with the Community Environment and Natural Resources Office (CENRO) which means that there are already trees to be cut to pave the way for the project even if the company was not issued the required environmental compliance certificate (|ECC) for the project and other activities that will be done in preparation for the realization of the put up of the power plant. The IP leaders assured that they will do everything possible to prevent the implementation of the environmentally critical project that will surely affect the state of the environment within their domain.